Tow Truck Insurance Irving Texas — Quotes Available Seven Days Per Week! You can also request quotes seven days per week using our chat system located on the right side of our website. Tow Truck Insurance Irving Texas — Double Check Your Application for Errors! Did you know you can receive a claim denial by your insurance company when incorrect information is listed on your insurance application? Insurance companies rely upon the truthfulness of statements listed on the application to underwrite accounts and they have legal language embedded within their insuring agreements to protect the company’s financial interests when policyholders do not provide truthful or accurate information. Or when policyholders withhold critical information that would’ve been important in determining whether or not the insurance company would have extended coverage in the first place. So for this reason it is vital to double check the information on the application just in case the agent makes a mistake or they intentionally leave something off just to earn a commission. Tow Truck Insurance Irving Texas — What Happens When Something is Missing? Joe Friday bought a new policy from his brand-new agent Bernie Ponzi — but there was only 1 small problem— Bernie Ponzi left out one little detail when he issued Joe Friday’s policy about Repo work he was doing. Why did Bernie Ponzi leave this one little detail out of Joe Friday’s insurance application? 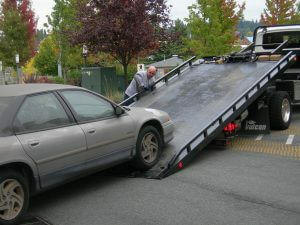 In reality Bernie was well aware that the insurer he got quotes from does not cover tow truck companies engaged in repossession work — but they offer great rates on regular tow service companies and Bernie was hoping nothing would ever happen, and besides he needed the sale to make his production numbers for the month. In our next article we will learn how Joe Friday’s life turned completely upside down financially …don’t miss this issue. Irving Texas Tow Truck Insurance — Call Pathway Today! Great deals and coverage are available seven days per week from Pathway Insurance when you need Tow Truck Insurance in Texas.